Video produced by Teena Pugliese. WATCH and SHARE. 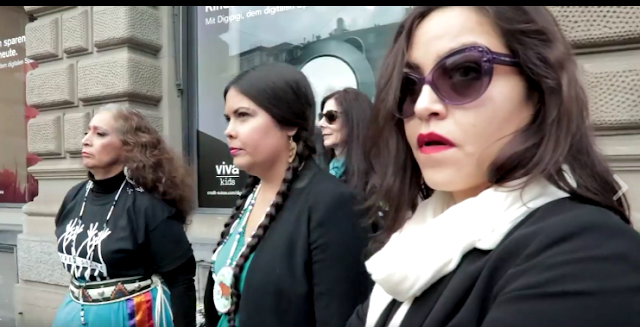 The ‘Indigenous Women’s Divestment Delegation to Europe’ traveled to Norway, Switzerland and Germany to meet with political leaders, and representatives of financial and insurance institutions impacting their homelands - calling for systemic policy changes and immediate divestment from fossil fuel companies that endanger rights and neglect Indigenous People’s right to Free, Prior, and Informed Consent as outlined in the United Nations Declaration on the Rights of Indigenous Peoples. Delegation action is part of an ongoing, growing global movement which is pursuing diverse fossil fuel divestment efforts as a critical strategy to protect Mother Earth, the global climate, and the health and rights of Indigenous communities and others experiencing the impacts of oil extraction and climate change on a daily basis. 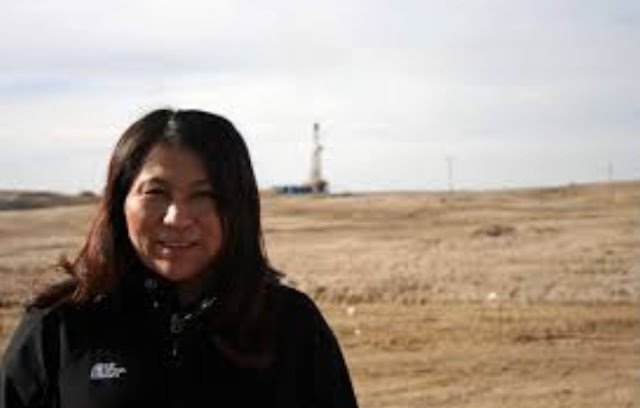 Featuring Delegates - LaDonna Brave Bull Allard (Lakota historian, member of the Standing Rock Sioux Tribe and founder/landowner of Sacred Stone Camp); Jackie Fielder (Mnicoujou Lakota and Mandan-Hidatsa, Campaign Coordinator of Lakota People's Law Project and organizer with Mazaska Talks); Michelle Cook (Diné/Navajo, human rights lawyer and a founding member of the of the Water Protector Legal Collective at Standing Rock); and Tara Houska (Anishinaabe, tribal attorney, National Campaigns Director of Honor the Earth former advisor on Native American affairs to Bernie Sanders); along with Osprey Orielle Lake (WECAN Executive Director and delegation organizer), and allies.